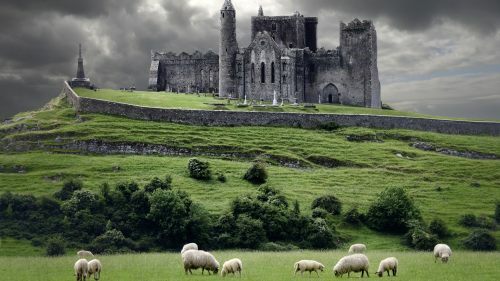 WestJet is selling off their end of season flights from Vancouver to Dublin, Ireland (DUB) for just $512 CAD roundtrip including taxes. Yes, that's less than the cheapest flights from Vancouver to Toronto. Flights from Victoria (YYJ) are also available for $548 CAD roundtrip including taxes. 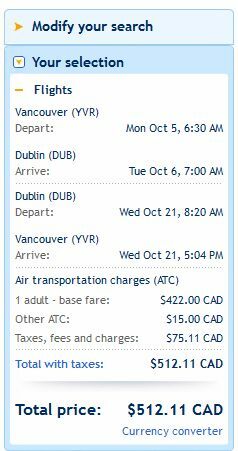 Using a $269 departure date and a $240 return date will give you a roundtrip flight total of $512 CAD roundtrip including taxes.